With increased competition in the market for similar goods and services, where the main aim is to increase revenue, entrepreneurs and salespersons have to engage excellent selling techniques. In a bid to double up revenues, a firm has to ensure that the product keeps on developing the marketing and sales department works together to sell the product to their customers. You also need to build your brand for your product to keep selling and to survive in an otherwise saturated market. A business needs to do thorough research and have its decision informed by identifying and ascertaining the needs and opportunities available in the existing market before it spends its money and time on follow-up marketing. Follow up is critical when you want to turn a lead (potential customer) into a buyer. It refers to going after, by contacting a client who showed interest in your product. Research reveals that only 2% of first contact clients buy a product meaning you have to go after the 98% through the follow-up process. This process is only possible through a well managed and organized follow up procedure. 1. Have a list of leads, at different levels. Those that are new and need more information on the product. Leads with all the information required and only need to be reminded or updated on the new or improved product. There are some who may be recommended by a customer or others. 2. Have organised and arranged periodic follow-up, such as weekly, monthly or even fortnightly. After the 3rd follow up, if the lead shows an attitude of entirely no interest, and nobody gets back to you, it is time to move on, but don’t forget about them. Continue to send updates on incoming or improvements on the product. You never know when they will need you in future. 3. Persistence. You need not easily give up on follow-up because it is not uncommon to seal deals after a period of continued pursuance. 4. Make sure you focus on the more important benefits of the product in the “why” as opposed to the “what,” that focuses on the product itself. How it will benefit the buyer is of paramount importance compared to its appearance. 5. Your pitch should be simple to a point where the client will develop a feeling of “must have it.” You must prove the guarantee of durability and efficiency, plus ways in which it will double revenues for the user. 6. Your knowledge of the product must be thorough, making you able to answer any question that may arise concerning the product. You must also be able to substantiate yours from the competitor’s. Have a list of leads, at different levels. Have organised and arranged periodic follow-up. Focus on the more important benefits. Your pitch should be simple. With so much information around us, buyers are ignoring much of what they don’t want to hear and instead do their research on what they want, and so this makes it crucial to give the right information that is useful. During the past when information was scarce, buyers did not have many options to pick from and the traditional way of reaching out to leads wooed them into believing the sales people or the few advertised products into buying. 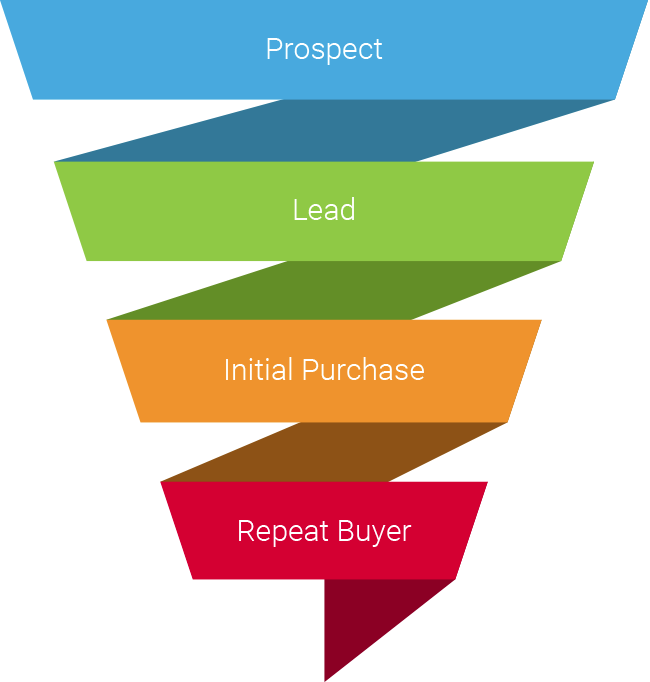 The process of lead generation starts with content. Lead generation is a marketing process aimed at arousing and capturing interest in a product with the aim of creating and developing sales pipeline. With a vast growth in technology, lead generation has taken up the use of digital channels. With the increase and improvement of online and social techniques, lots of information is available online. Right content will develop and qualify potential leads in the process of turning them into customers. You need to create a stable lead generation strategy that will help build trust and capture the interest of your buyer before they get to the point of contacting you. Useful information and creative ways of getting in front of customers and break through the noise created by an otherwise overcrowded market will always bring clients to you as opposed to you spending precious time and energy going after them. Content is a backbone of any lead generation and leads nurturing effort. Every salesperson or marketer has to rely on content to engage potential and ready customers in today’s market scope. The material must be educative, inspiring and must beg to share. If achieved, leads will flock to you, and you will gain their trust as you watch your revenues grow. When it comes to personified follow up, calling via phone may be advantageous as opposed to emailing. A potential lead may ignore the email entirely without feeling guilty whereas it is not easy to ignore a ringing telephone and once it is received, a conversation always almost ensues. Your voice and personality may shine you through. When another organization is your lead, it will call for you to understand their structural operation since you will need to get through to the right person who is involved in the decision-making process of acquiring the product or service and recognizes its need to the organization. Follow up calls are essential in sales as giving up after a single call will result in loss of prospects. A well-planned call at the right time with right information puts you ahead of the curve. You never know who will pick your call and when they are ready to engage thus persistent follow-up calls are recommended. Gear every effort towards creating a lasting impression hinging on the benefits your product. So, which time is right for calling? Studies reveal that when you make a call say on Tuesday and it goes unpicked, you try after two days the chances are high that it will be received. Some believe that morning hours between 8 am and 9 am, or 5 pm to 6 p.m. are convenient for a ready audience. A perfect time is when your prospect is reading an article about your product, and they are relaxed. Such timing could result in a lead as the audience may want to make inquiries about your product or service. Whichever the time, each call must end with a “next step” plan on board, either an appointment or scheduling a demo to reiterate the value of your solution. The reading happens mostly in the evening after work or early in the morning before reporting to work. 1. Have a well-organized schedule and create a list. Salespeople frequently get caught up in new sales activities so having a daily follow up schedule is essential. 2. Choose the right follow-up method. You may choose to do one on one, phone calls, emails or letters or even integrate both. 3. Reiterate your genuine appreciation. One of the reasons for conducting follow-ups is to show that you care and you have a long-term commitment to a customer. Making periodic show-up to make new sales does not create a positive impression. 4. Ask if customers have concerns, questions or problems with their purchases. 5. Profit from the in-depth knowledge you gathered about your customer. Beware: Frequent contact with the clear intention of simply selling does not leave a positive impression! How do you value the importance of regular follow-ups? Share your experiences in the comment section below!